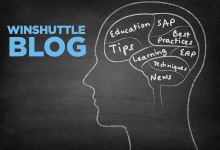 With the release of version 10.3, Winshuttle Query has the ability to use SharePoint lists as a destination for SAP queries. This provides a quick and easy way of exporting any SAP data into SharePoint and utilize it in use cases where you are mashing up business data from SAP with collaborative content in SharePoint. There are two ways of running these queries. You can run them straight from the desktop on an ad-hoc basis or if you have Winshuttle Server you can schedule runs on the server. The server-scheduled queries can be configured to run on a recurring schedule, giving you a mechanism for automatically refreshing SAP data in SharePoint.